Westside Carwash can help your business save money. We offer various programs to fit your business needs, including a specific web site to track the number of washes for your business. You can even have a break down between programs or departments. All of this at your fingertips! 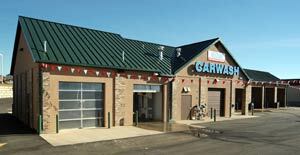 Westside Carwash is the only car wash in Greeley to recycle water. Better for the environment—better for you! 2nd automatic bay with "soft touch"